With this post, we're auditioning an update of Tracy's 1980s Taco Salad Layered Dip recipe. Served at housewarmings, office events and even a wedding celebration, we've always enjoyed this dip. This version has some "lighter" ingredients but more layers. To build a "layered dip", the basic procedure is to select and spread different ingredients evenly without disarranging the layer(s) below. When arranging the layers, it's a good idea to consider the color contrasts (or lack thereof) to provide visual interest. Just a few layers can be quite tasty and tempt the eyes - - just look at Linda C's dip. 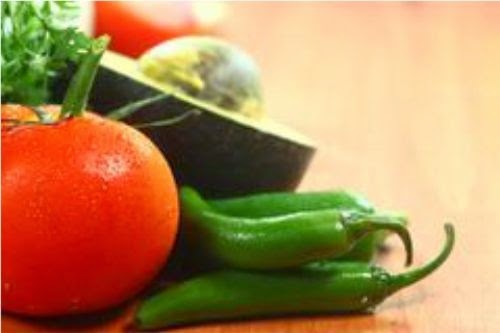 You choose compatible ingredients, and whether to include convenience products (e.g. frozen guacamole vs. fresh avocados). Depending upon personal preferences, you can either let the edge of each layer show (like Genêt Hogan at Raised On a Roux) or spread each layer to the edge (like Ree Drummond at Pioneer Woman). Different styles give you options. Whichever way you choose, do try to keep each layer level because that helps to evenly distribute each ingredient among the servings for that "perfect bite." We think this combination and arrangement has options for even more variations (e.g., perhaps season beans with Ranch dry dressing and omit fajita seasoning from the sour cream dip). In a medium saucepan, combine all of the Seasoned beans ingredients and cook over Medium-Low heat until the onions have softened and the beans are creamy, about five (5) minutes. Taste and adjust seasoning. 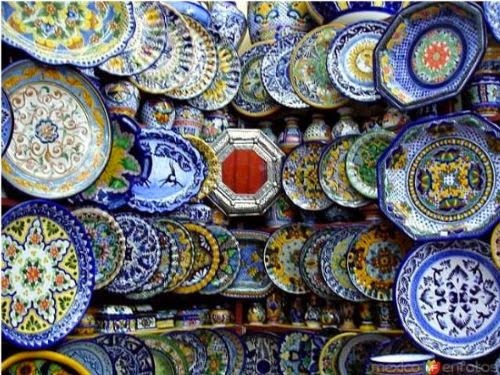 Remove from heat and spread beans evenly over the bottom of rimmed serving dish (note beautiful Mexican ceramics in photo above). Next, sprinkle over the shredded cheddar (some of which will melt next to warm beans). In a large bowl, combine all of the Dip ingredients and use hand mixer to combine well. When the texture is creamy, gently place dollops of the sour cream mixture on top of the guacamole and spread lightly. Sprinkle evenly the finely shredded mozzarella over the salsa. In a medium bowl, toss together the Garden Topping ingredients and place over the mozzarella cheese. Serve immediately with tortilla chips, or cover and refrigerate until serving time. If Hidden Valley Ranch Dips Mix is unavailable, you may substitute 3 Tbsp or one (1.0-oz / 28g) envelope of your favorite fajita seasoning. For testing, we tried Old El Paso Fajita Seasoning Mix. Substitute drained, mashed Frijoles Negros A La Criolla for the seasoned pinto beans, crumbled cotja for the second cheese layer, and medium chopped red onions for the green onions. To remove the bite, pre-soak the red onions in fresh lime juice (or cold water) about ten (10) minutes, stirring once or twice. Drain well and pat dry with absorbent paper towels before adding onions to the Garden Topping. Use the hand mixer for the best sour cream dip texture. Otherwise, it's rather lumpy. Prepare the sour cream dip ahead, refrigerating at least two (2) hours for the flavors to blend. Adapts Tracy P. "Taco Salad Layered Dip." 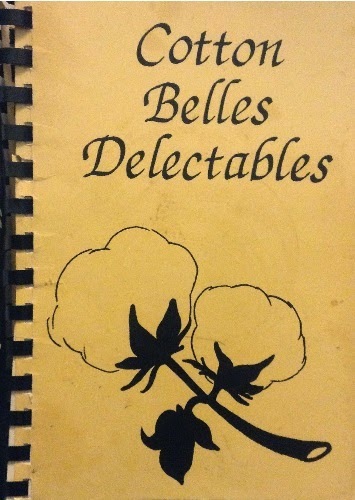 Cotton Belles Delectables compiled by the Cotton Belles Chapter of the American Business Women's Association (Collierville: Fundcraft Publishing, Inc, 1989), 7. Updates inspired, in part, by Genêt Hogan at Raised On a Roux and Emma, Ree Drummond at Pioneer Woman and Emma Christensen via TheKitchn.